Maybe difficult and messy, but there was a land grab. If you search back far enough through this thread you'll find I outlined exactly what occurred (posted maybe May/June of last year?). I would be more accepting of this had it not been for the fact that the Cardozas didn’t make the most of the opportunity and walked away giving it on a plate to KT for a quid, really? Another apologist for the status quo. Didn’t read a word past that. If your opening sentence is wrong, no point in reading the rest. 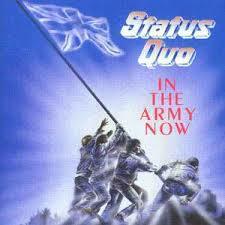 I never said I’m happy with the status quo. That’s another story YOU HAVE BUILT. Carry on. If it suits your agenda to lie through your teeth. Fill your boots. I take it like me you had a bad day at Sixfields but don't call me a liar. I see another window pain has been smashed in the West. Perhaps KT could find the money amongst his other ‘small improvements’ to get them fixed. It looks awful! We don't know who owns the windows.......we are however having positive talks with the council and are making good progress towards agreeing a process whereby the windows will be boarded up. We are hopeful that this will happen in the next ten....years. By you directly or a friend of a friend. Probably should give a bit more detail to support your claim. I'm all for cracking open some of these secrets but only if they are replaced by facts. Not untruths, gossip or rumour. A Land Agent in Rushmills was touting the land. See... You’re a fully signed up member of a an exceptionally naive culture that has developed on here. Where if a person doesn’t agree with you, they must fully endorse what you don’t agree with. You’ve lost your ability to understand impartiality. I have said over and over that I support NTFC. I’m not a very political creature. Equally I am not completely clear on who really knows the truth. So I don’t have a side. In fact, it’s safe to say I am at this point, and have been for quite a long time, totally ambivalent. So... Now you can understand why I called you a liar... Perhaps liar is a bit strong.. Ignoramus would be more apt. I think Grossman should have enough cash to see him comfortably through ten years, however, he'll be on boards and have directorships as Mrs Grossman tomorrow. These business parasites can flip flop names at will, using just a middle name can be enough to side swipe HMRC and the very short arm of the law, when it comes to cash that is. You would have to assume that this is just the start . A simple tap over the knuckles as he allegedly sits on the missing public millions isn’t going to suffice . I wonder if Grossman and Mackintosh are sleeping well right now . Ladies and gentlemen, no one has been found guilty of anything illegal in a court of law related to NBC, NTFC or any other issue that has a tenuous link to either. Some of the words and insinuations being posted on here have been getting too close for our liking. We will continue to delete without notice any that do however we do not patrol this board 24/7 therefore do not expect us to pick up your pieces if a lawyer comes knocking on our doors to assist in their enquiries about one of your posts. This in itself shows how easy it is for those who so clearly go about things so illegally, to go about their day to day 'business'. The press cant say anything, you cant talk about it on a forum, you get warned if you put anything on twitter/facebook etc. Indeed there is no outlet that can name and shame anybody these days without the fear of repercussion or nanny state type moderating. Lets be clear here. Its those reasons, that we are where we are today. People were trying to expose certain individuals and every time hit a brick wall in doing so, meaning that the masses didn't believe anything until it was too late. I do accept that the opposite would be a vigilante society, but even so, in our little world of claret and white, its *frustrating*! I also understand why as moderators, you have to do what you do. But Id love to put stuff on here about certain individuals from the not too distant past, because for me there is so much telling evidence (or at least evidence that wrong doing occurred) but for some reason no one has been criminally brought to justice. Fingers crossed that it all comes out at some point and we can type all kinds of sh1t until our hands are aching! I blame all the socialists, they are nothing but terrorist loving parasites and most of them are hypocrites, middle class do gooders, w@nkers. Can't we have one of those big thumbs up emoji's? If i had any evidence I'd take it to the authorities and if absolutely convinced of it's veracity make my view clear and take down the details of who I have spoken/written to and ask what they are going to do with it. I'd make a point of ensuring my local Police and Crime Commisioner is asked why you are not getting an acceptable response from the relevent authorities if this happens to be the case (refer back to the details taken per the 1st sentence). I found (when I lived in a suburb of Northampton) local Councillors useful in gaining a satisfactory response to local issues. Well said, Drilling. Of course we have to be fair and give Howard Grossman the chance of a hearing before laying out any judgement on his character. After all, he may just be an incompetent businessman rather than a s***ebag criminal mastermind. ETA: I base the assertion of 'incompetence' around his ties to more than a dozen failed & liquidated businesses... of course, he may just have been unlucky in his many business dealings. BBC have doorstepped Grossman at the County Group offices. Worth watching BBC Look East on later shows or Iplayer. Not true. You can get your local MP to name and shame in parliament without fear of reprecussions. I wonder how you could get him to do that? Eye-catching vision for a new community stadium in the town-centre at Grimsby designed by local architects. The contrast with cardozas sixfields redevelopment couldn't be more stark. For those of you that don't read the Guardian as a rule, check this out.